(3BL Media) March 21, 2012 - FSG is thrilled to announce that co-founders Michael E. Porter and Mark R. Kramer are the McKinsey Award winners for "Creating Shared Value." Per Adi Ignatius, Editor-in-Chief of Harvard Business Review, "Creating Shared Value was a seminal article for Harvard Business Review in 2011...It was the catalyst for our yearlong effort to highlight content that called on business leaders and politicians alike to rethink capitalism.” Read Harvard Business Review's official press release on Business Wire. More on the The McKinsey Awards: The annual Awards, judged by an independent panel of business and academic leaders, commend outstanding articles published each year in Harvard Business Review. The awards were established in 1959 to recognize practical and groundbreaking management thinking by determining the two best articles each year. 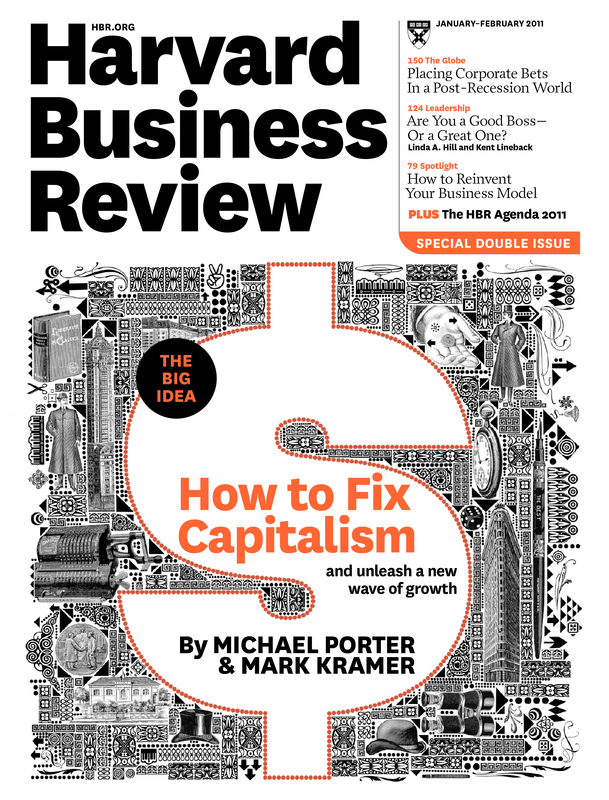 This year’s announcement appears in the April issue of the Harvard Business Review, hitting newsstands on March 27th. Since the article first appeared in the January/February 2011 issue of Harvard Business Review, the approach has been covered by respected outlets like the New York Times, Forbes, Financial Times, BBC, and more. Forbes.com calls shared value "a megatrend for 2012". Lynn Forester de Rothschild for the Huffington Post says it's one of "seven influential actions in 2011 that captured an emerging shift in business' relationship with society". The Economist cites shared value as a trend in 2012 per research by J. Walter Thompson, based on its polling data and surveys of markets around the world. Visit FSG's Knowledge Exchange to learn more about shared value. To connect with author Mark R. Kramer, Managing Director, please contact Michelle Morgan-Nelsen.